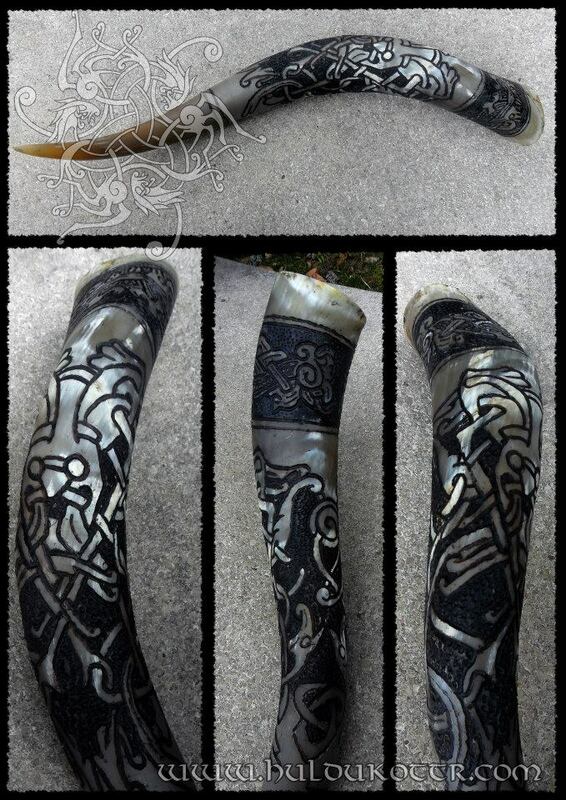 Mammen style drinking horn. Custom work from Poland. This time the customer wanted a pure Mammen style pattern, so we used an historical pattern for the top area, and an own design in the main area, inspired by the Aarhus stone. The customer also wanted a raw vintage feel on it, simulating an ancient archeological finding. 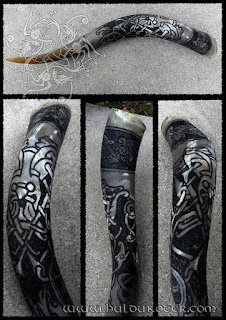 The second part of the order is to make a wood stand for this horn, in the same vibe. Let's see what happens!